Diet Detective: Can you explain the concept of sustainable food production practices? Urvashi Rangan: It’s a holistic approach to producing food that considers the #health and welfare of the environment, the workers and the animals in a way that conserves resources and minimizes pollution. Sustainable practices use fewer chemicals, pesticides, drugs, heavy metals and cheap feed ingredients like sterilized poultry litter that can act to cycle contaminants to animals. Diet Detective: How powerful are the food companies and their lobbyists in the U.S.? How much influence do they have over what appears on our food labels? Urvashi Rangan: There is heavy lobbying done by those with vested interests in the food industry ­ even oil companies, who have a lot vested in the packaging of food ­ or drug companies that make additives like DHA and ARA. And companies in a sector will often band together through trade associations that increase the collective power of their lobbying. There are also lots of so-called public interest groups that are shills for the industry. Diet Detective: Are organic foods overrated, overhyped and overmarketed? Do we really need to be eating organic? Urvashi Rangan: Organic foods do offer consumers significant value over their conventional counterparts. Kids who eat organic produce and drink organic juice have fewer pesticides in their bodies. Organic animals may not be raised with a daily diet of drugs, heavy metals or pesticides. Those are just some of the ways organic standards add value over the conventional baseline. 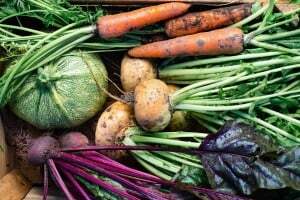 Organic fresh foods like produce, milk, meat and poultry offer more value than organic processed foods, but even organic sugar or flour, for example, are produced with fewer industrial chemicals, though they aren’t void of them either. That’s where we need to be vigilant since the forces of industry lobbying are also strong in organics. The drive to approve synthetic ingredients is getting stronger as the organic industry has grown ­ it will need to be watched to ensure it maintains its hard-earned credibility. Diet Detective: What’s the scariest thing about the foods we eat – something we should be considering an emergency and protesting? Urvashi Rangan: That our government lacks the authority to mandate a meat recall and that a lot of meat can be legally contaminated and sold. About 50 percent of a processing plant’s ground turkey or chicken is allowed to have salmonella. 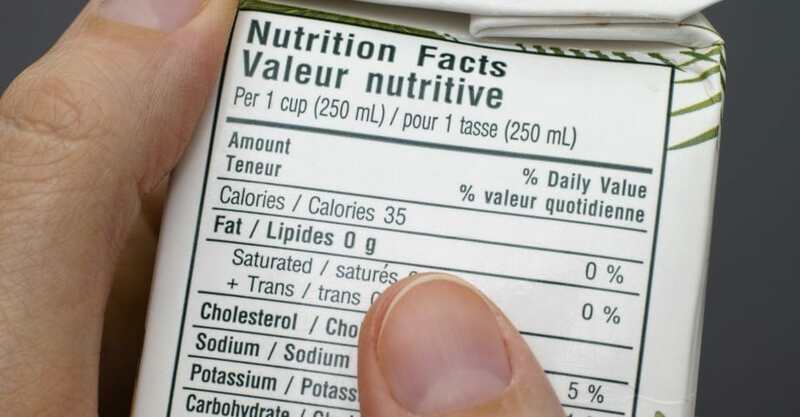 Diet Detective: What’s the most important #food label concept we should absolutely memorize and understand? Urvashi Rangan: You can’t tell what a label means by just looking at it, and there’s no floor for how little a label can mean. Diet Detective: What’s the biggest food label atrocity? Urvashi Rangan: The “natural” label doesn’t mean very much at all. And polls show that many consumers falsely believe it means more than “organic” ­ which has hundreds of pages of standards and is verified. The “uncured” and “no nitrates” labels are also very deceiving. They can mean that natural nitrates were used to cure meat. In this case, the government mandates this erroneous standard. Diet Detective: Why should we care about genetically modified foods? Urvashi Rangan: As opposed to conventional (or organic) seed, a genetically engineered seed is owned and may not be propagated by the farmer. [That means the seed is actually owned by the company. Monsanto is one of the largest soybean seed owners. For more, watch the movie Food Inc.] Pesticides designed to be sold for genetically engineered crops to kill weeds without harming the crops have now led to the creation of superweeds. The promise of genetically engineered crops to feed the world has not been met and, in fact, is in serious question. And now the question of whether genetically engineered salmon should be approved sits with a veterinary drug committee at the FDA as it examines sketchy safety data submitted for approval by the company that makes the genetically engineered fish. There are many more questions about the safety of genetically engineered foods for the environment and public health than there are answers. According to polls from Consumer Reports, more than 95% of consumers want GE foods labeled. Diet Detective: Should we all be eating locally grown foods? Are they better tasting and better for the environment? Urvashi Rangan: The advantage of local production often means getting fresher food. Why –because it hasn’t been trucked thousands of miles, which can leave more time for food to spoil, especially produce. But there are even more advantages to local food production. It saves on gasoline, pollution from transporting food (which can have a positive impact on global warming) and in many cases supports smaller-scale farmers. If you shop at your greenmarket, the food may even be cheaper than in the supermarket because you are buying direct without the middleman. Diet Detective: If you were the “King (or Queen) of Food,” how would you fix our food system? Urvashi Rangan: Less faux, more real. Less pink slime, more real meat. Fewer drugs, chemicals and pesticides. And a less consolidated food system where more local and fresh food could be available to more people ­ where more people work for our food system. And where the National School Lunch Program actually served children food that was produced sustainably. Our kids deserve that. Diet Detective: How dangerous are the pesticides used on our food? There seems to be a lack of research relating to pesticide use and the dangers to humans. Urvashi Rangan: Pesticides were derived from chemicals developed for warfare to kill people. Diluted down, they kill bugs. But studies in farmworkers suggest that these agents are indeed harmful to those who work on the farm, and several have carcinogenic potential ­ which can be concerning when it comes to chronic low-level exposure. Diet Detective: I know you eat out often, but what’s always in your fridge and pantry? Urvashi Rangan: I always have ginger, whole spices and cilantro on hand. I also love a good loaf of crusty sourdough or multigrain bread. Urvashi Rangan: Not a lot of frozen prepared foods — we like to cook, even if it is simple stuff. Also, I don’t like a lot of artificially colored foods. Diet Detective: What common food would you never touch? Urvashi Rangan: Beans can give me pause. Urvashi Rangan: I like to mix it up. I love a fresh egg any way on some toast or half a grapefruit or sometimes some lemon yogurt with almonds. Urvashi Rangan: NYC pizza ­ or, wait, didn’t our government just decide that pizza sauce counted as a vegetable for our public school lunches? I also have a weakness for dim sum and bagels. Urvashi Rangan: Print at the Manhattan hotel Ink48 has amazing sustainable food choices. Résumé: Environmental health scientist. Worked at Consumer Reports for last 13 years, rating labels, and now coordinating and conducting safety risk assessment for a diverse range of products, including food. Education: Dr. Rangan received her Ph.D. in Environmental Health Sciences from Johns Hopkins University and conducted her postdoctoral work at the Environmental and Occupational Health Science Institute.